I had the chance to listen in on an Avvo webinar today lead by Leigh McMillan about SEO for law firms and lawyers. - Each practice area should have an individual page within your website. Don’t put all your content onto one webpage. - Optimize internal anchor text. Anchor text refers to links within web copy that link to another internal page within your website. These links should be keywords and NOT say “click here,” as generic language doesn’t tell the search engine what the link leads to. - If your firm is mentioned on association websites, directories or as part of nonprofit sponsorship, be sure that the mention links back to your website. - Excessive Flash animation and images will hurt your rankings. Utilize alt tags and sprinkle keywords throughout the text. - Be sure to redirect your website URL without the “www” to your entire website URL. For example, furiarubel.com redirects to http://www.furiarubel.com/. Don’t build two separate sites as this can hurt your Google search results. Talk to your web developer about doing 301 redirects. - Buy links. Google knows when links are not legitimate or relevant and have tools to evaluate these links. - Engage in comment spam. This is the practice of commenting on blogs ONLY to insert a link. - Leigh also recommends avoiding vendors who utilize these practices. - Toolbar.google.com – Doesn’t give precise ranking, but a good guide. - Google.com/webmasters/tools – This is a free tool, but registration is required to prove ownership of the site; Google will tell you if it has problems “reading” your site. 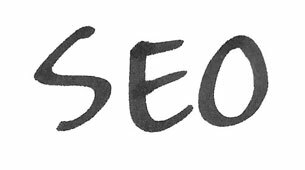 - Seomoz.org/article/search-ranking-factors – Great website for analyzing Google’s search factors. Be sure to keep these tips and tricks in mind when working on a strategic SEO campaign for your law firm's website.